This article was first published in Dragibus Curiosa magazine, Volume 1 issue 4, Spring 2013. © Brett Lothian. We all know about the alkaloids in psychoactive brews such as Ayahuasca and Cimora. However, is there an overlooked ingredient in some of the plants utilized, which have been previously thought to not be psychoactive or the psycho-activity being attributed solely to the alkaloids? The answer is a resounding yes and that ingredient is flavonoids. I was led onto this line of research by the San Pedro and Mescaline presentation by Keeper Trout at the 2011 Entheogenesis Australis. Trout states that in regard to Trichocereus bridgesii, bioassay accounts often report more potency than is suggested by the published literature and that anecdotal claims exist suggesting interaction with some additional active component; possibly a MAOI. He further states that this is not supported by the published literature, but it also does not appear to have been examined yet. This is no surprise as the ridiculous ‘War on Drugs’ has drastically curtailed proper scientific research into these plants and substances, to the great detriment of us all. 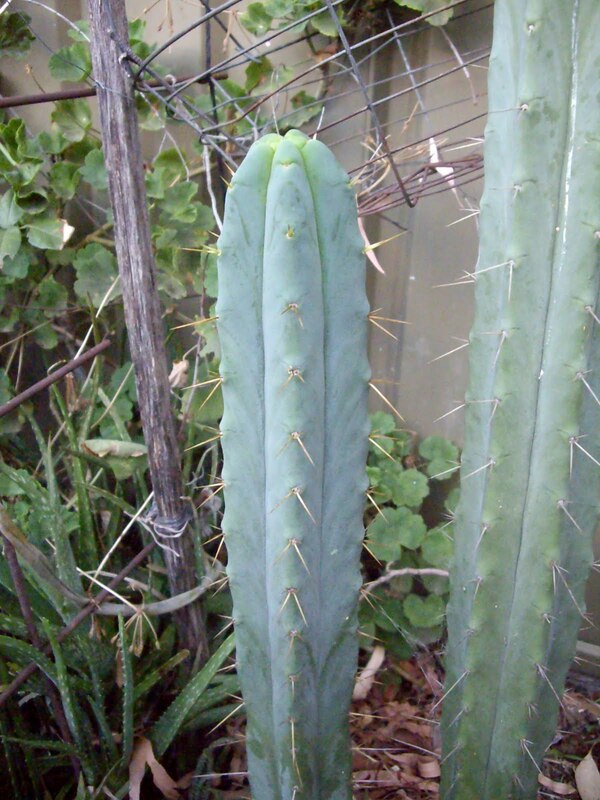 With this in mind, I started researching what else could be contained in Trichocereus bridgesii that explains the reported increase in potency, outside of the well-known alkaloids. 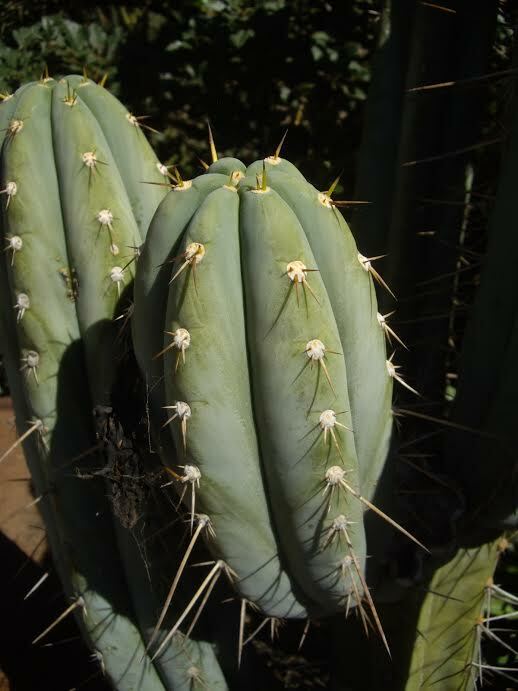 I came across numerous reports that Trichocereus bridgesii contained the flavonoids quercetin and kaempferol, which act as a monoamine oxidase inhibitor or MAOI for short. Further research confirmed that both quercetin and kaempferol do in fact act as short term reversible Monoamine oxidase inhibitors, as well as having numerous other benefits such as anti-allergy, anti-cancer, anti-bacterial, anti-arthritis and anti-viral activity. Furthermore, it is also useful in treating neurodegenerative disorders, coronary heart diseases, diabetic complications, eye disorders, gout, osteoporosis, prostatitis and peptic ulcers. Monoamine oxidase inhibitors (MAOIs) are chemicals which inhibit the activity of the monoamine oxidase enzyme family. They have a long history of use as medications prescribed for the treatment of depression. Because of potentially lethal dietary and drug interactions, monoamine oxidase inhibitors have historically been reserved as a last line of treatment, used only when other classes of antidepressant drugs have failed. New research into MAOIs indicate that much of the concern over their dangerous dietary side effects stems from misconceptions and misinformation. In addition, despite proven effectiveness of this class of drugs, it is underutilized and misunderstood in the medical profession. New research also questions the validity of the perceived severity of dietary reactions, which has historically been based on outdated research. Personally, I have never had a negative interaction from using MAOIs despite eating reportedly dangerous foods in interaction. It may be that my system is less prone to negative interactions and care should be taken none the less. MAOIs act by inhibiting the activity of monoamine oxidase; thus, preventing the breakdown of monoamine neurotransmitters and thereby increasing their availability. There are two isoforms of monoamine oxidase, MAO-A and MAO-B. MAOA preferentially deaminates serotonin, melatonin, epinephrine, and norepinephrine. MAO-B preferentially deaminates phenylethylamine and trace amines. Dopamine is equally deaminated by both types. The early pharmaceutical MAOIs inhibited monoamine oxidase irreversibly. When they react with monoamine oxidase, they permanently deactivate it, and the enzyme cannot function until it has been replaced by the body, which can take about two weeks. Flavonoids that act as MAOIs are reversible, meaning that they are able to detach from the enzyme to facilitate usual catabolism of the substrate. The level of inhibition in this way is governed by the concentrations of the substrate and the MAOI. In addition to reversibility, MAOIs differ by their selectivity of the MAO receptor. Some MAOIs inhibit both MAO-A and MAO-B equally. Other MAOIs have been developed and found to target one over the other. Quercetin and kaempferol have been shown to have the ability to selectively inhibit MAO-A. Harmaline found in Peganum harmala, as well as the Ayahuasca vine, Banisteriopsis caapi, and Passiflora incarnataare also reversible inhibitors of MAO-A. MAO-A inhibition reduces the breakdown of primarily serotonin, norepinephrine, and dopamine; selective inhibition of MAO-A allows for tyramine to be metabolized via MAO-B. Agents that act on serotonin, if taken with another serotonin enhancing agent, may result in a potentially fatal interaction, called serotonin syndrome. Also irreversible and unselective inhibitors (such as older pharmaceutical MAOIs) of MAO can create a hypertensive crisis as a result of tyramine food interactions and is particularly problematic with older pharmaceutical MAOIs. Tyramine is broken down by MAO-A and MAO-B, therefore inhibiting this action may result in excessive build-up of it and so diet must be monitored for tyramine intake. MAO-B inhibition reduces the breakdown mainly of dopamine and phenethylamine so there are no dietary restrictions associated with this. MAO-B would also metabolize tyramine, as the only differences between dopamine, phenethylamine, and tyramine are two phenylhydroxyl groups on carbons 3 and 4. Two MAO-B drugs, selegiline and rasagiline have been approved by the FDA without dietary restrictions, except in high-dosage treatment, wherein they lose their selectivity. Several flavonoids have been identified as inhibitors of MAO-A and MAO-B. 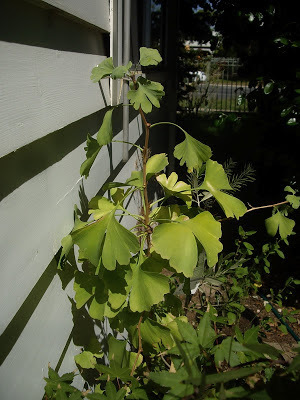 The flavonols kaempferol and quercetin and the flavones apigenin and chrysin were isolated from a standardized Gingko biloba extract. All four flavonoids were identified as MAO-A inhibitors with IC50 values of: kaempferol (0.7 μM), apigenin (1 μM), chrysin (2μM) and Quercetin (5 μM). Phenelzine, a non-selective and irreversible inhibitor of MAO was used as a reference compound (IC50 value 0.04 μM). Quercetin was isolated from heather (Calluna vulgaris) and identified as a MAO-A inhibitor with an IC50 value of 18 μM. In the same assay clorgylin, a selective MAO-A inhibitor, had an IC50 value of 0.2 μM. In another study it was reported that quercetin is a selective MAO-A inhibitor with an IC50 value of 0.01 μM for MAO-A and 20 μM for MAO-B. Quercetrin, isoquercetrin, rutin and quercetin isolated from Melastoma candidum (Melastomataceae) were shown to inhibit MAO-B with IC50 values of 19, 12, 4, 11 μM, respectively, in an assay where deprenyl (a selective MAO-B inhibitor) had an IC50 value of 19 μM. The flavan-3-ols catechin and epicatechin were isolated from Uncaria rhynchophylla (Rubiaceae) and found to inhibit MAO-B with IC50 values of 89 and 59 μM, respectively, while deprenyl had an IC50 value of 0.3 μM. Two flavonoids isolated from Sophora flavescens (Fabaceae) exhibited monoamine oxidase inhibitory activity: formononetin an isoflavone with IC50 values of 21 μM (MAO-A) and 11 μM for MAO-B and the flavanone kushenol with IC50 values of 104 μM (MAO-A) and 63 μM for MAO-B. Naringenin was isolated from Mentha aquatica (Lamiaceae) in a bioassay-guided fractionation process. The IC50 value for MAO-A inhibition was 955 μM and 288 μM for MAO-B in an assay where the IC50 value of clorgylin was 0.0003 μM and 0.1 μM for deprenyl. In a recent study the inhibitory effects of pure anthocyanidins on MAO-A and MAO-B activity was investsigated. The following IC50 values were obtained for MAO-A and MAO-B inhibitory activity, respectively: malvidin (22 μM and 19 μM), pelargonidin (27 μM and 43 μM), cyanidin (30 μM and 32 μM), peonidin (31 μM and 22 μM), petunidin (32 μM and 43 μM), delphinidin (35 μM and 31 μM). In the same study different glycosides and diglycosides of the above mentioned anthocyanidins were also studied with IC50 values in the range of 29-117 μM for MAO-A inhibition and 31-242 μM for MAO-B inhibition. All of the active flavonoids identified in the above possess inhibitory activity on MAO-A, MAO-B or both. Furthermore, this inhibitory activity is not confined to a single flavonoid class as all the classes are represented. 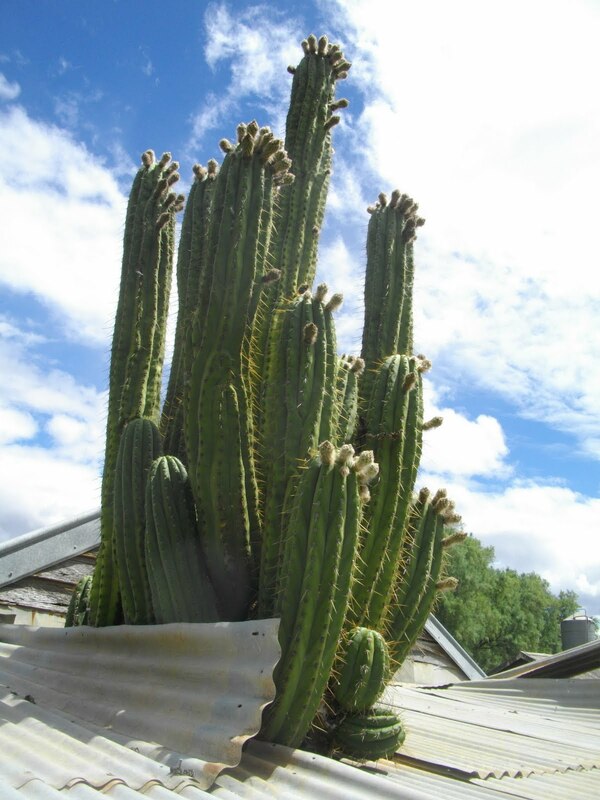 This got me thinking that perhaps flavonoids could be employed to boost the effectiveness of psychoactive cacti other than Trichocereus bridgesii and psychoactive brews in general. Bioassay has shown this to be the case, with green tea, gingko biloba and onion leaves being utilized to great success. It was then that I realised, perhaps the native people who traditionally utilized these plant brews could well have already discovered this action long ago. Maybe the traditional admixture plants that have been previously thought to be inactive were in fact active; just not in the way we had expected. As it turns out, this is very much the case. 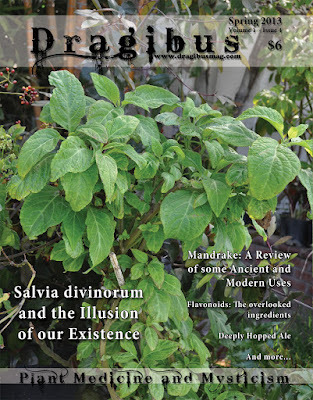 The list of traditional admixture plants to psychoactive brews is almost endless and contains far too many to mention here. Many of them have not been studied in any meaningful way, but from the plants that have been studied and plants in the same families, flavonoids are very common. In fact, flavonoids are present in almost all terrestrial plants. Fruits and vegetables particularly citrus fruits, apples, onions, parsley, tea, red wine, etc. are the primary dietary sources of Quercetin. Olive oil, grapes, dark cherries, and dark berries such as blueberries and bilberries are also high in flavonoids including Quercetin. Studies were conducted on the flavonoids (Myricetin, Quercetin, Kaempferol, Luteolin and Apegenin) contents of 62 edible tropical plants. The highest total flavonoids contents were found in onion leaves (1497 mg/Kg Quercetin, 391 mg/kg Luteolin and 832 mg/kg Kaempferol) followed by semambu leaves, bird chillies, black tea, papaya shoots and guava. Major flavonoids content in these plant extract is Quercetin, followed by Myricetin, and Kaempferol. In vegetables, Quercetin glycosides predominate but glycosides of Kaempferol, Luteolin and Apegenin are also present. Fruits contain almost exclusively Quercetin glycosides, whereas Kaempferol and Myricetin glycosides are found only in trace quantities. ‘Dieta’ undertaken, sometimes for a week or more before psychoactive brews are taken ceremonially in traditional cultures. 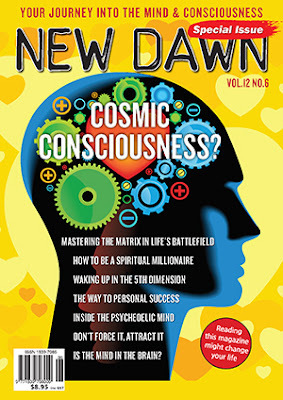 It stands to reason that loading the body beforehand with high amounts of flavonoid containing plants would only help the MAOI process, effectively boosting the potency of the psychoactive brew once it was administered. About the author: Brett Lothian is an Australian author, professional arborist, market gardener and ethnobotanist. He is the author of the Tricho Serious Ethnobotany blog, the creator of the Trichocereus cacti appreciation group, the Peyote appreciation group and ethnobotany appreciation society on facebook. Nice Post keep it up. Thanks for sharing this great article. Great information thanks a lot for the detailed article. That is very interesting I love reading and I am always searching for informative information like this. If you are looking for the old Tricho Serious Ethnobotany blog please click on the above photo for lots of pictures, information and lots more! 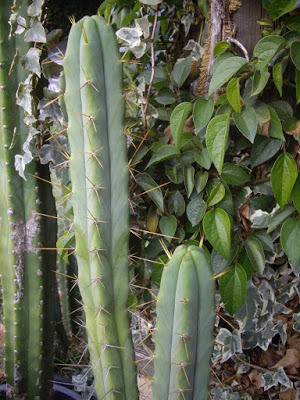 Chavin Herbalist: Trichocereus supplier direct from South America. Click on the above photo for Tricho Serious Ethnobotany on Ebay. All articles and photographs used in this blog are the property of Brett Lothian (unless stated otherwise) and can not be used commercially without my written permission. If you would like to use any of my work commercially, please contact me via email at bretloth@gmail.com. Thank you.